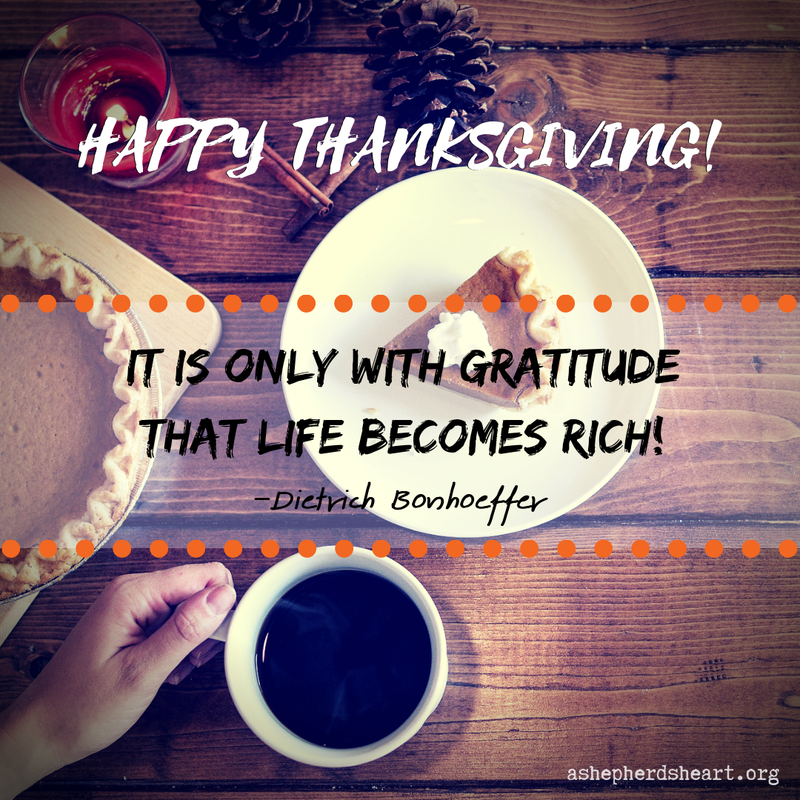 A Shepherd's Heart: Happy Thanksgiving! I wanted to wish you a very Happy Thanksgiving! I / We have much to be thankful for as God is so good to us! I pray we regularly pause and consider how blessed we truly are! 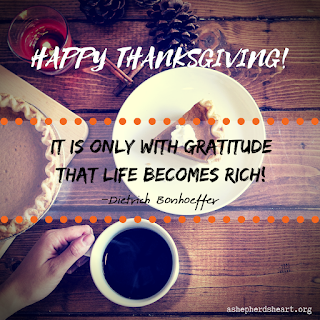 I'm thankful to and for The Lord, my family, friends, the body of Christ...including you!